I have been a lazy gardener this year. 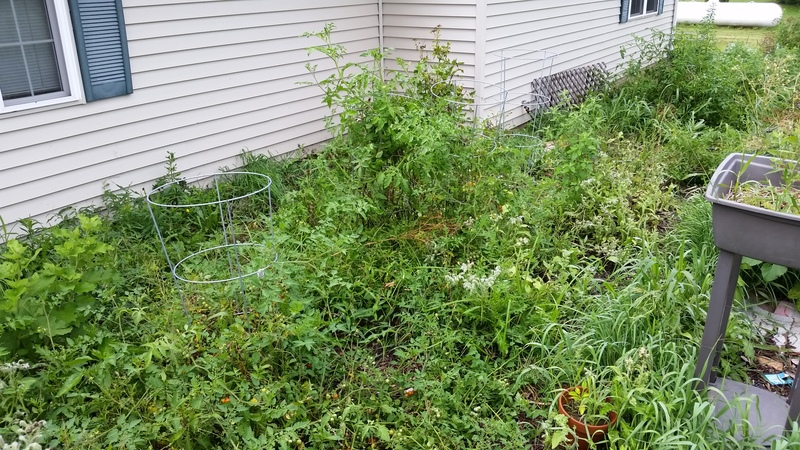 The kitchen garden looks like a jungle with volunteer cherry tomatoes running wild and broccoli going to seed. 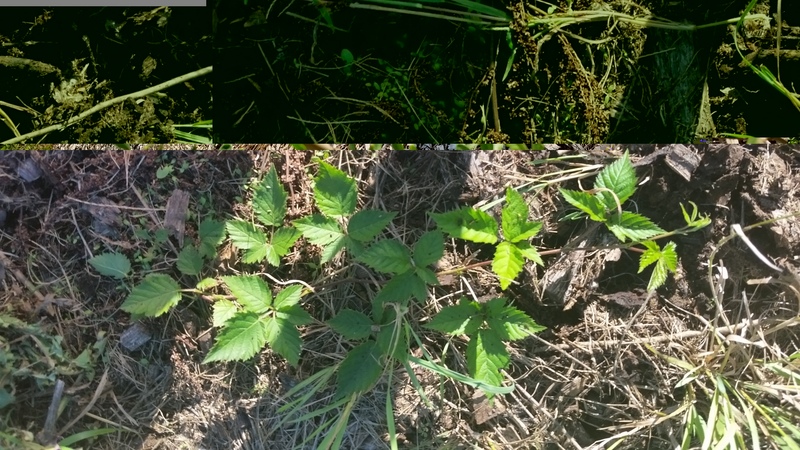 The fedge has been taken over by seaberry and blackberry plants. 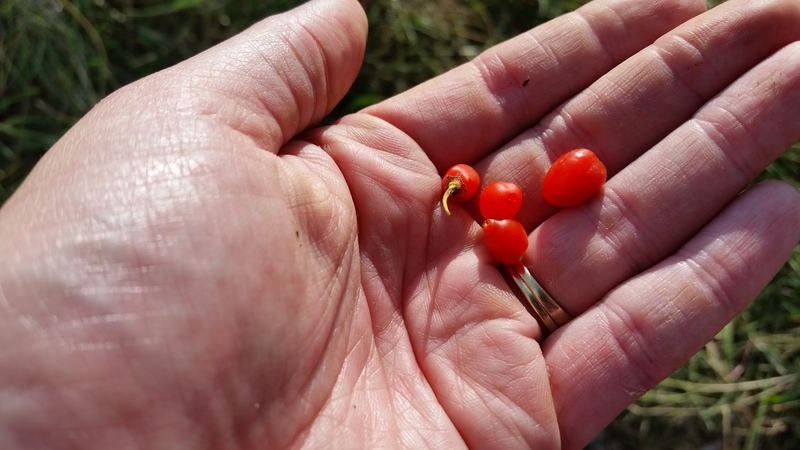 Seaberry is popping up all over the place! The lone autumn olive is huge…I mean it is ridiculously ginormous. 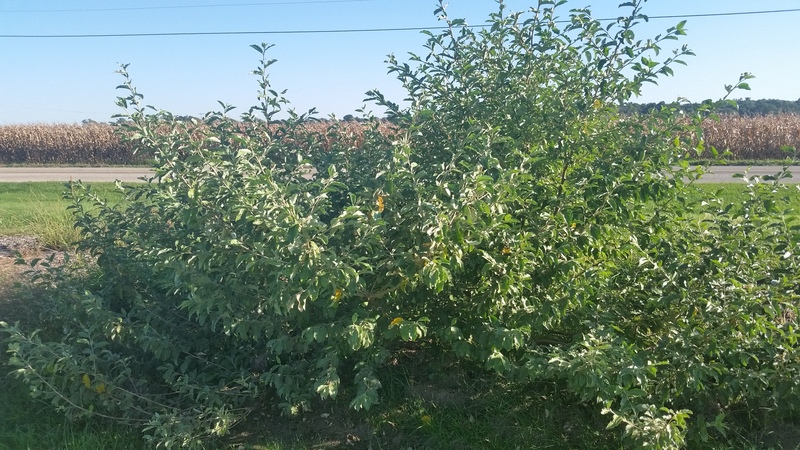 We have to prune it because it is suffocating the honeyberry we have planted next to it and threatening to take out the aronia on the other side. 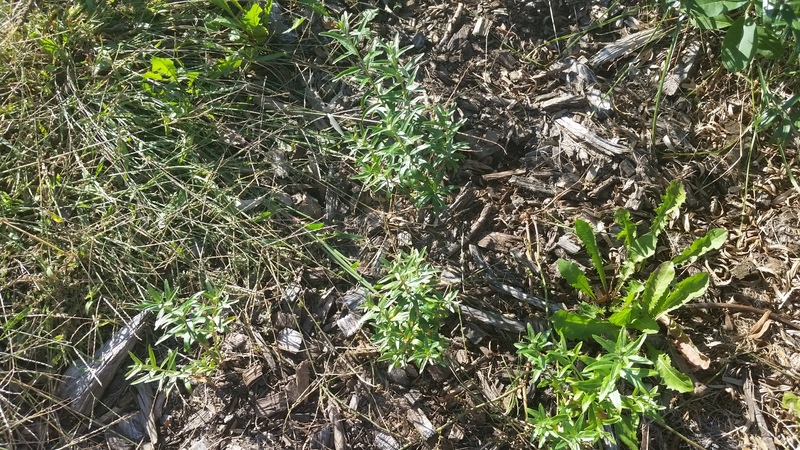 The plants in the vineyard are at war with each other. 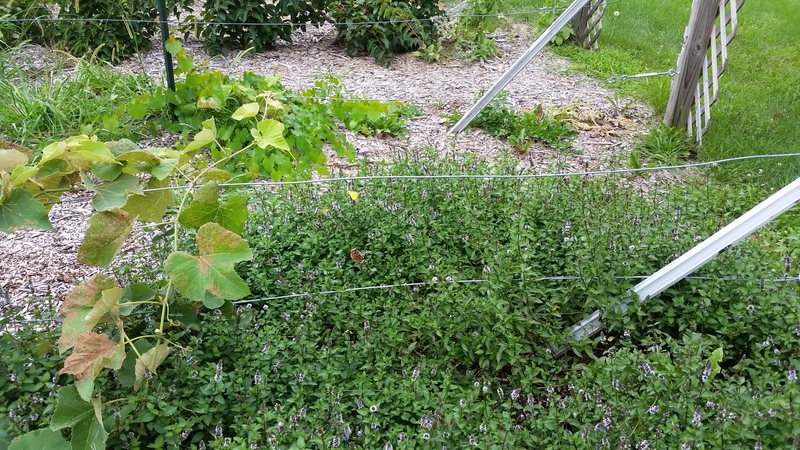 The aggressive chocolate mint is attacking the poor grapes, and creeping toward the kiwi. 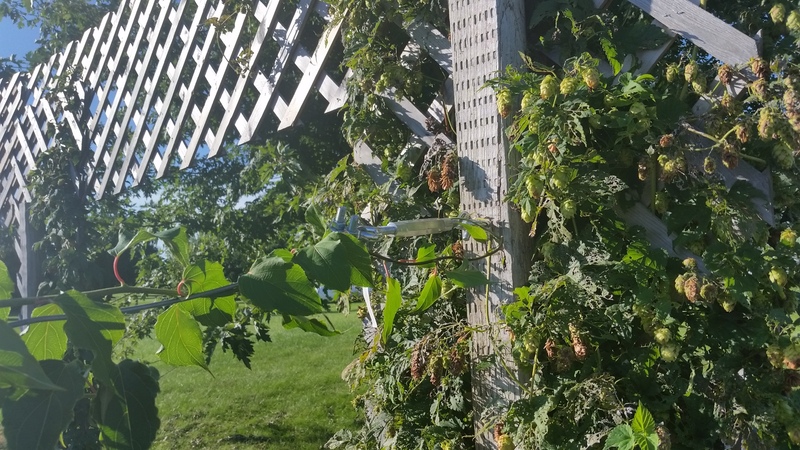 The kiwi and hops are jockeying for position, each trying to stake their claim to the trellises. I decided to get off my duff and clean up the vineyard a bit…mostly because I wanted to eat a few handfuls of grapes. All of the weeds came out very easily due to the thick layer of mulch we have laid down. Even the big sprawling clumps of grass came out with barely a tug. 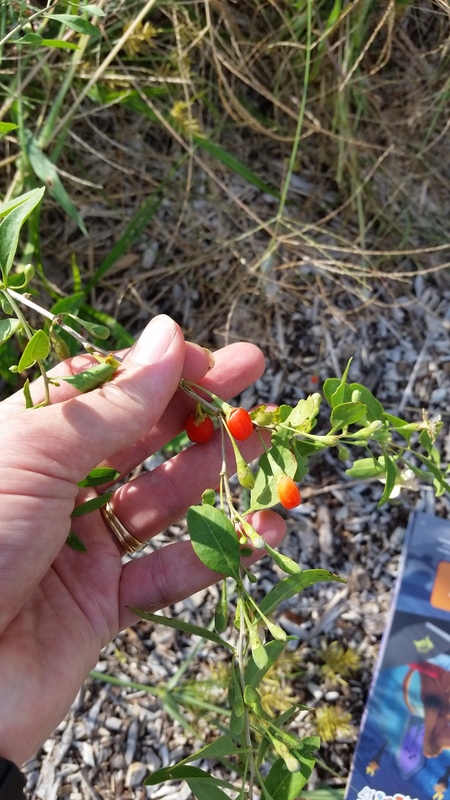 When I started clean-up around the first row of kiwi, I discovered small red berries ripening on a forgotten goji berry vine. I’d planted two of them last year. They were small, and I did not expect them to make it through the winter. But they did…barely. 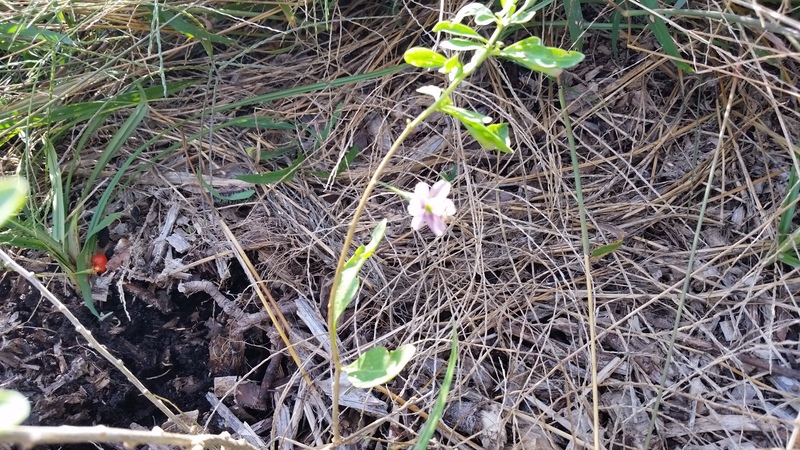 They struggled this summer and did not grow much larger, but both remaining plants have berries and flowers sprouting. They may have produced even more and grown even taller had I paid more attention to them…had I not all but forgotten their existence.